This portable AM AC/DC radio phonograph is great for any type of indoor or outdoor activity. 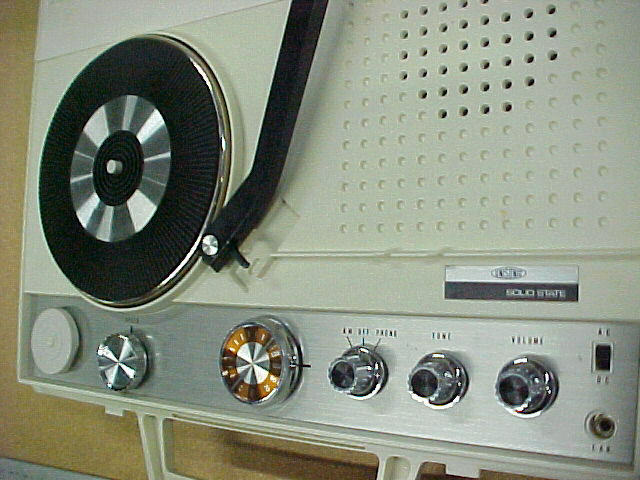 The Unisonic radio - phonograph operates on either on 4 "D" cell batteries (not included) or by 110 volts(Power cord is included). 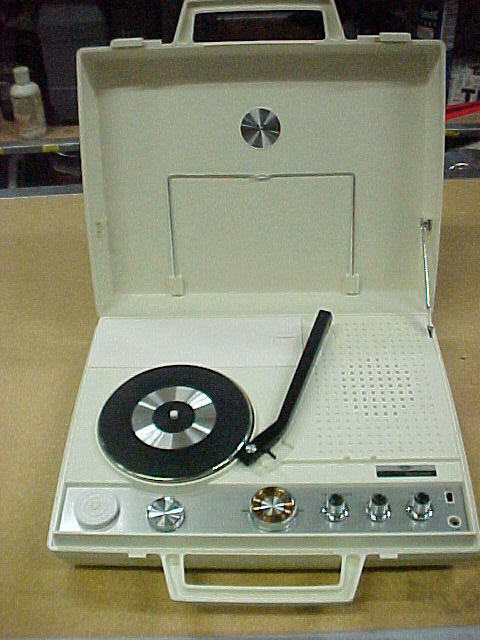 This is a wonderful vintage portable AM unit that can play three speeds of records (78,45, or 33 RPM) and still be taken to the beach or anywhere. A hard plastic cabinet makes this unit when closed look like an attaché case. A great looking momento of the 1960's and 70's BRAND NEW in its original box. 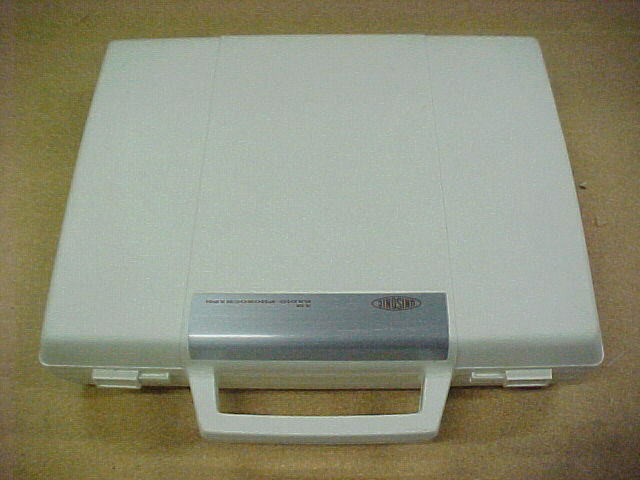 This unit is extremely scarce. Please call for availability.